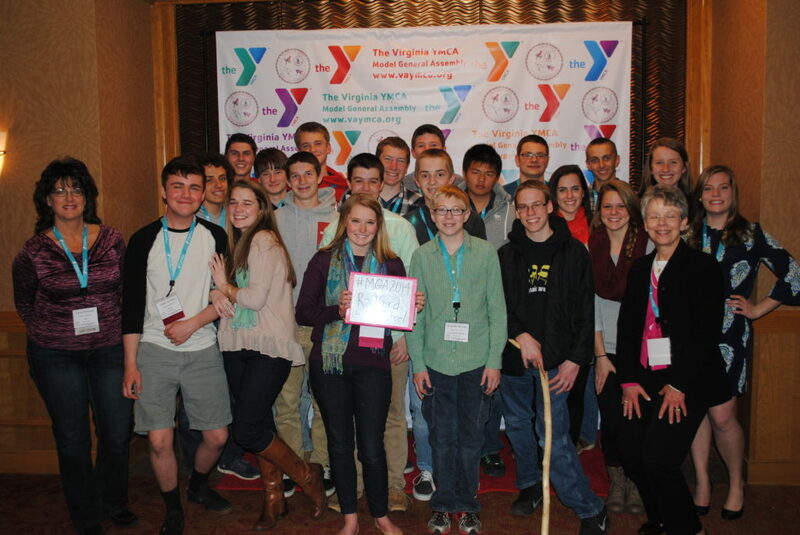 The Virginia YMCA sponsors school-based service clubs which stress leadership development and community service. These clubs are called Hi-Y, which means high school YMCA. The first such club was organized in Chapman, Kansas in 1889, and was for boys only. Later came Tri-Hi-Y, a club for girls. Today, most clubs are co-ed and are called Hi-Y or Youth & Government. Hi-Y clubs perform school and community service projects and also participate in the Virginia YMCA’s model government programs. Purpose: The Model Judiciary Program was established in 1975 and provides high school students with an opportunity to learn about Virginia’s judicial system through a series of trials and appeals. Students portray attorneys, jurors, and witnesses. Participants: Any public or private high school may participate. Interested students may come from civics and government classes; Hi-Y, Tri-Hi-Y, and Youth and Government clubs; and debate clubs. Process: Contact the Virginia YMCA for details about participation. The Conference on National Affairs is held annually at YMCA Blue Ridge Assembly in Black Mountain, North Carolina and was established in 1967 with Virginia attending its first conference. Students from across the nation gather at this conference to debate issues of national and international importance. Each student brings a proposal to discuss in committee during the week-long process. Virginia typically brings a group of 10-20 students to represent the Commonwealth, and these students are selected by a committee at the Model General Assembly. Students selected have many deadlines to adhere to between MGA and CONA, including proposal submission and discussion in a private online forum. Students are expected to actively contribute to the discussion and arrange their own transportation to the conference. Purpose: Teen Leadership Conferences are designed to introduce 6th, 7th, and 8th graders to Virginia state government, especially the legislative branch. Leadership and character development activities are also included, along with a healthy dose of fun. Typically, TLC’s are held in certain counties for a certain grade level within the county. We have also provided TLCs for certain high schools. To bring a TLC to your county, please contact the Virginia YMCA. When can we schedule this program? You can schedule it for almost any convenient time on your school calendar. Where can this program be held? The Virginia YMCA can bring this program either to your school or to an off-site location in your area. How long does this program last? This program can either be a full-day or part-day event.